Farming Foible, or an Agrarian Adventure? 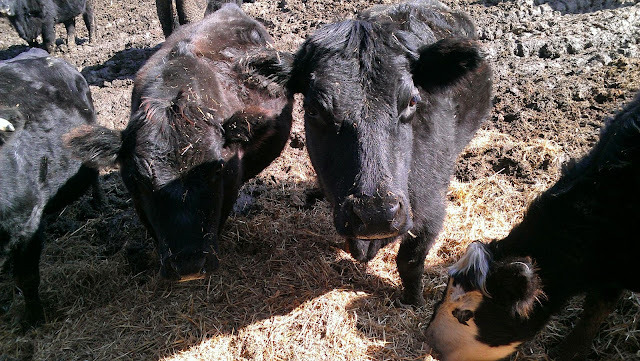 : Have you ever been eye stalked by a cow? You know those people at the gym that stare at you while you exercise? That make you feel judged, and badly about yourself? The ones that make that internal voice go, “Oh crap. I’m not working hard enough. Fast enough. I must look horrible in this spandex shirt!” Yep. Meet the mother of those people. A cow. You're not even able to work fast enough to keep me fed. Amateur. Let me set the stage for you. 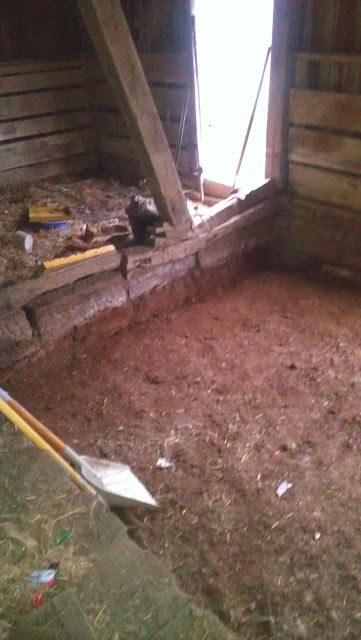 A few weeks back I posted about my abusive relationship with the cows and I mentioned that I had spent several hours cleaning the barn. 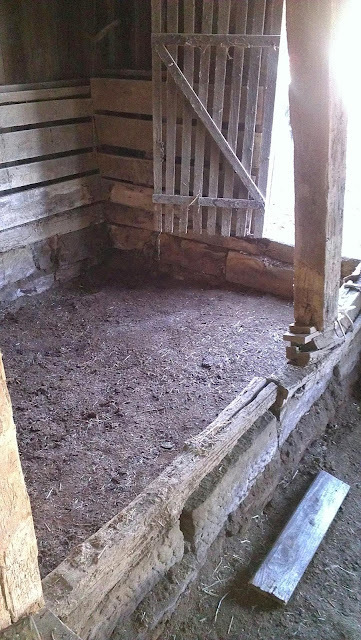 This is a set of before and after photos of the lovely project. Something doesn't look quite right. And no, it isn't the fact that the stalls are full of 30 years worth of junk! Step one complete! Note the height change! Also note that this is about when I realized that my radio was on AM. I was dedicated dammit. I also know the words to "Let it go." Let it go, let it go. I'm not cleaning this anymore! Let it go, let it goooo! Almost ready to close up the doors. I don't care. What the cows say. Let them moo onnnn!...The hay never bothered me anyway! You see that wonderfully compressed timber? And the one with the hole in it? Yeah. That was what prompted my cow-stalking gym time. 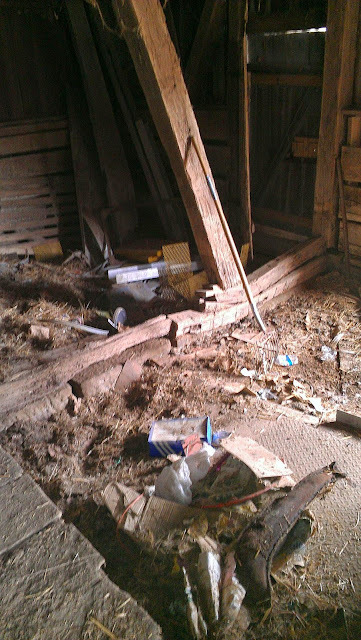 The dang barn was falling down. It is always something!